Traces the development of national public education campaigns, from those aimed at raising general awareness, to treatment and prevention. Looks at the role played by entertainment media, including more recent initiatives focusing on the global pandemic. Copyright 2006 Henry J. Kaiser Family Foundation. 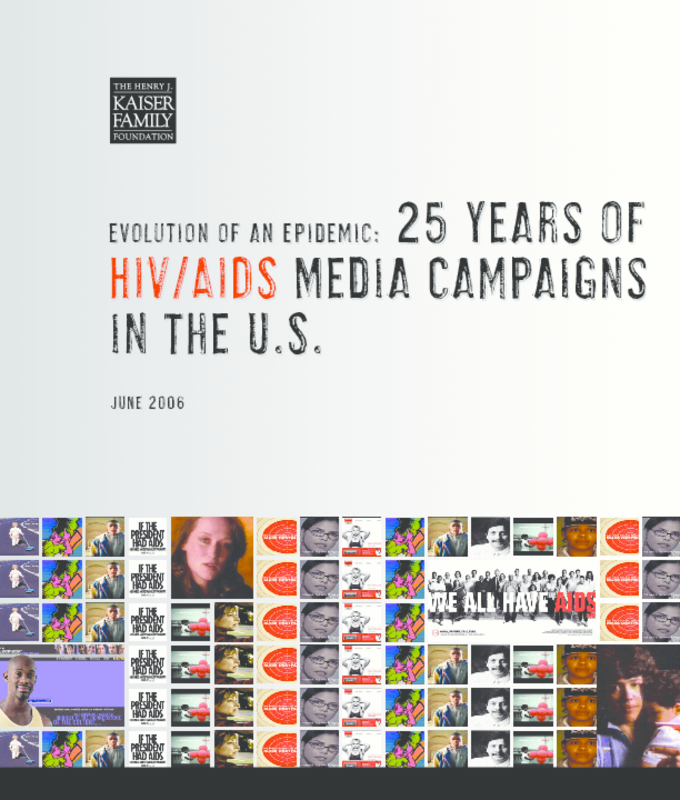 Title: Evolution of an Epidemic: 25 Years of HIV/AIDS Media Campaigns in the U.S.